Four Massive Zombie Maps. One Great New Price. 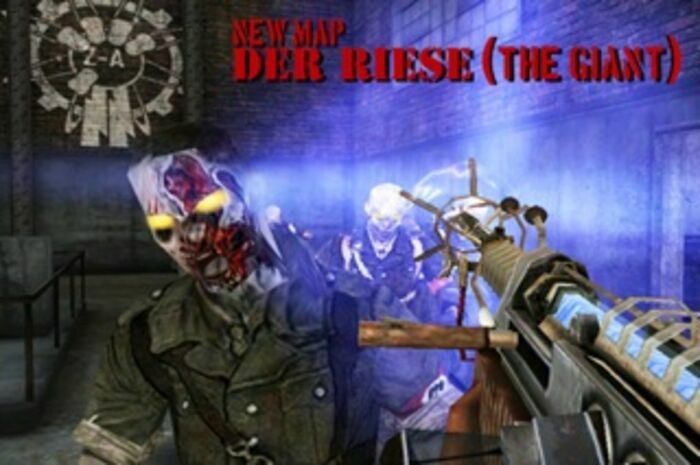 Now includes the ALL-NEW fan favorite, Der Riese, the largest, most feature-rich Zombie map to date. This is the ultimate Co-op experience for the iPhone/iPod Touch! •The all-new Pack A Punch Machine allows you to upgrade ANY of your weapons: Increased Firepower, More Ammo, and a new Metal Finish. •New Teleporters allow you and your team to zip around this enormous map and evade the oncoming Zombie Horde. •The Bowie Knife allows to you take down higher level zombies in one quick blow. 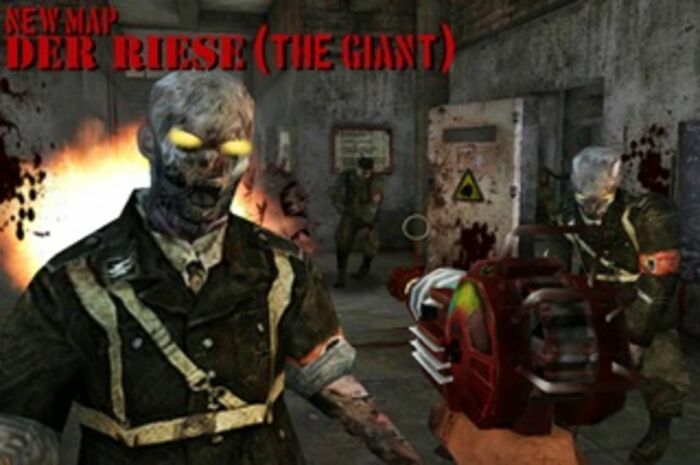 •Favorites such as the Hell Hounds, the Wunderwaffe lightning gun, and the Perks-a-Cola Machines return. •The online 4-player co-op action you've come to expect returns with even more intensity. 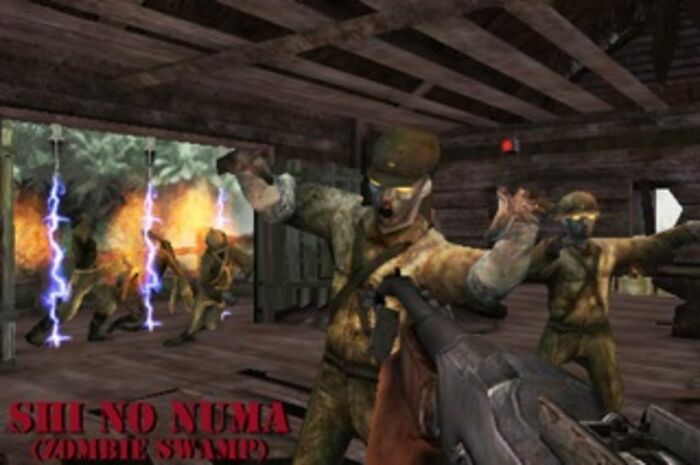 •Shi No Numa is a hauntingly beautiful environment filled with terrifying zombies, weapons, and zombie traps. •New weapons featuring the Wunderwaffe DG-2. Fry hordes of zombies with a single blast from this shockingly powerful new weapon. •Survive the Hellhounds! Ferocious and fast, the Hellhounds will test your reflexes and your team's ability to work together. •New playable characters! Play as Tank Dempsey (US), Takeo Masaki (Japan), Nikolai Belinski (USSR), and the infamous Dr. Richtofen (Germany). •New Zombie traps including the Flogger for massive Zombie destruction and the Zipline for quick getaways. •“Verrückt” (Zombie Asylum): Dare to enter the insane asylum and fend off the Zombie onslaught alone or with friends. Use electric traps to keep the zombies at bay. 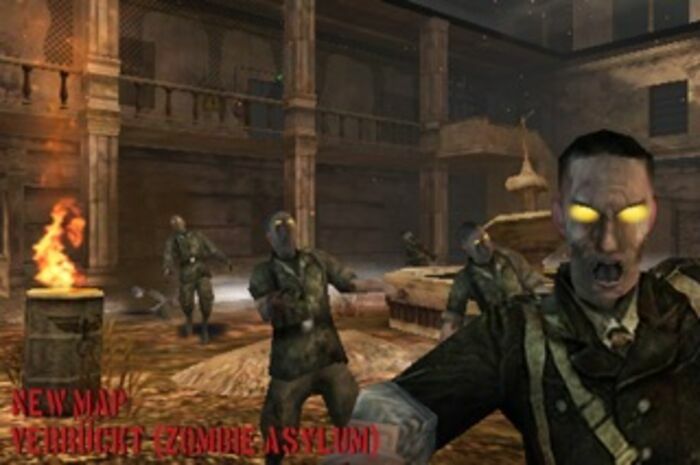 •“Nacht der Untoten”: The original zombie map returns in all its glory. Fight to survive in the abandoned bunker that started the zombie phenomenon. 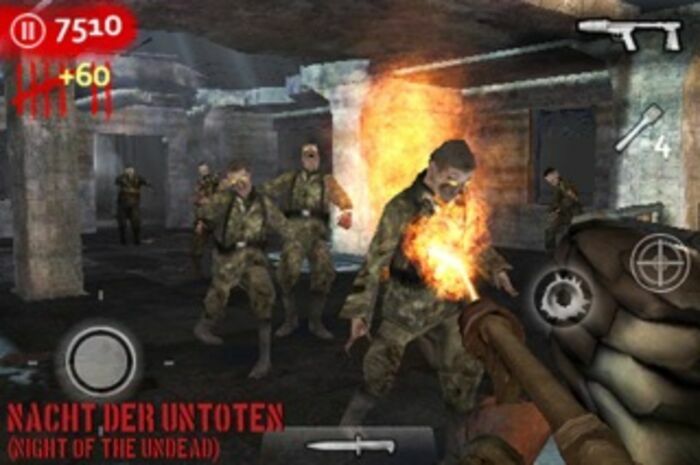 Call of Duty: Zombies brings the classic Call of Duty: World at War zombie-slaying game mode to the iPhone™ and iPod® Touch. Featuring ALL 4 Zombie maps, you’ll need to bring along your friends to help push back the endless waves of attacking zombies! - This is the Zombie experience from Call of Duty: World at War. All 4 Zombie maps have been fully realized on the iPhone™ in a silky smooth 3D environment, along with the return of your favorite guns and killer power ups. - Three different control schemes are available to suit your style. Take advantage of the iPhone’s unique tilt capabilities or, for Zombie vets, use the virtual analog sticks to fend off the undead. - Call of Duty: Zombies features a massive list of unique Achievements. - Leaderboard support awards the best of the best, accessed directly through your iPhone™ or iPod® Touch. Become the top zombie slayer and prove your standings to the world! So snap to attention, pick up Call of Duty: Zombies, and start fending off the zombie horde! *Wi-Fi support only at this time, play unavailable on cellular networks. Note: Call of Duty: Zombies is best played on a 2nd generation iPod® Touch or higher with the latest firmware installed.